​The vision of Creative Learning Preschool is to emphasize the collaboration among home, our preschool and our community. This idea of multiple perspectives promotes both the sense of a group membership for the teachers as well as the children and parents. Through the sharing of ideas and multiple perspectives we will continue to navigate towards supporting the total development (i.e. multiple intelligences) of our preschool children. 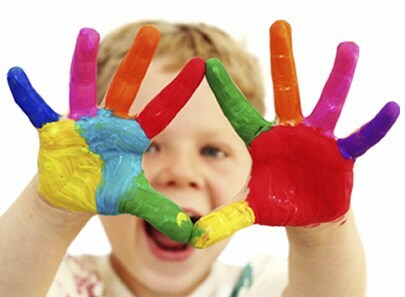 The Creative Learning Preschool approach is a unique blend of Reggio-Inspired, Project-Based learning in conjunction with exposure to the needed State Standard of Learning for the preschool age-group. Our approach offers a negotiated curriculum, where children work together with their teachers to forge a path of knowledge. Children are active participants in the learning process. Through collaboration, shared experiences and in-depth exploration of topics, the teacher/family/community can ensure that children are offered broad experiences in all content areas that are highly regarded at Sunrise Academy (i.e. Islamic Studies, Arabic, Foreign Language (our student population comes from cultures speaking different languages), Literacy, Mathematics, Science, Drama, Music, Art and Physical Education. The mission for Creative Learning Preschool and our approach to education is committed to the creation of conditions for learning that will enhance and facilitate exceptional opportunities for cognitive, linguistic and social development in our young children. In alignment with Howard Gardner’s notion of schooling for multiple intelligences (verbal-linguistic, logical-mathematical, spatial-visual, bodily-kinesthetic, musical, interpersonal, intrapersonal, naturalist and existential intelligences), Creative Learning Preschool’s approach is based upon the principles of: emergent Curriculum, Project Work, Representational Development, Collaboration, Teachers and Children as Researchers, Documentation and the Environment of the Classrooms as well as the Preschool Studio. An essential component of the Creative Learning Preschool Approach is one of team planning, teachers working together, collaborating not only amongst themselves, but also with parents and the community. The idea of “it takes a village to raise a child” is the direction that we are pursuing. This approach encourages parents and the community to be an active part of their child’s education, through team planning. Teachers and other stakeholders can work together to formulate hypotheses and consider possible directions of projects, determining materials, utilizing talents of teacher/parent/community members to once again enhance and facilitate exceptional opportunities for learning. Within the scope of our curriculum, children learn to articulate their needs, and develop an awareness of their feelings and their personal rights to express them. Children enrolled in this program will have experiences in a variety of activities such as the following: arts and crafts, music and movement, science experiences, math, reading, language, nature, sensory, and manipulative play. We also offer a variety of enrichment activities for our children that include field trips, library visits and music. Our school is willing to try new ideas. Just as Sunrise Academy fosters creativity within the children, so does it foster and encourage its staff to be creative. We take the experiences gained from being childcare professionals and rise to meet life’s daily challenges. In this environment which is based on Islamic values, not only will the children develop a positive self-image but also a strong Islamic identity. It is our goal to develop in each child a love for and understanding of God and Islam and to nurture an identity in each child as a confident and faithful Muslim. We hope to accomplish these goals through appropriate instruction in three basic areas (Islamic Studies, Qur’an, and Arabic Language) and through the creation of an environment conducive to the promotion of Islamic values and beliefs. In this program, we follow a set of themes for each month. Also, a set of Qur’anic verses and short suras are selected to correspond to these themes for the children to talk about and to memorize. In their first introduction to religious concepts, our children are offered a loving and exciting approach to this subject to instill in them a good feeling about God and about who they are as little Muslims. We nurture their positive growth through developmentally appropriate learning. Children at Sunrise Academy benefit from an integrated Islamic Studies curriculum. Their day starts off with the teachers bringing the groups together for suras, songs, discussion of “value of the week,” activities, and sharing in our classrooms. In each classroom, there are daily, small and large group activities. Also each day the children have the opportunity to pray. The vision and mission of our preschool reflects a need for professional meeting space for teachers, parents and community members to congregate and collaborate. Teachers gather daily, weekly, monthly with and without the director of the preschool to discuss, review, revamp and reconsider projects, project status, curriculum lesson plan forecasts, research, documentation, portfolios, go-home journals as well as snapshots. This space also provides a professional image and place for quiet meetings of Director to Parent (which often happen several times a day), Teacher to Parent, Teacher to Teacher and small collaborative group meetings. This space also allows for teachers to be contained in the building with close proximity to the preschoolers during the daily schedule. The Creative Learning Preschool Studio contributes a key element to our outstanding program. As we are approaching the school year of 2016-2017, Creative Learning Preschool will be pursuing NAEYC (National Association of the Education of Young Children) Accreditation which is a rigorous program in and of itself. An important aspect of this program is the occurrence of meetings and visitations, proper space away from but close proximity to the classrooms is needed and provided through the use of the Preschool Studio. The Preschool Studio will continue to be utilized as a Preschool Library, this resource houses a complete collection of children’s books ranging from informational texts to favorite children’s authors, as well as, thematic books geared toward project research for children, teachers and parents. Children will continue to attend library at least once a week in which they experience a range of activities such as: story-time with high quality picture books, brain booster activities, songs, poetry, finger-plays and puppets along with space for a puppet stage. The self- exploration of books is encouraged in order to develop early literacy skills and our inviting Preschool Studio space allows children to enjoy literacy-rich, hands-on experiences in an interactive environment, it encourages responsibility and self-confidence by allowing children to check out books chosen by the child. Librarians from Hilliard and Mystery Readers also come to share their love for reading in the Preschool Studio. As we consider 21st Century Education, it is important for teachers and parents to take advantage of the interactive qualities of an I Pad and our plan is to enhance technological experiences and make them available to our children with proper supervision. Parents, teachers and technology can act as facilitators in children’s learning, particularly when considering the project-based learning that occurs at Creative Learning Preschool. Since technology is revolutionizing the world our children live in, our task is to balance appropriate skill-development with technologies along with the core principles and experiences necessary to raise healthy children. It is well known that children are natural manipulators of their world, they learn by controlling the movement and interactions between objects in their world. I Pads can allow for interaction, the pace and activity can also be controlled and repetition of an activity can occur many times if they chose. In order to encourage the proper use of technology within preschool children, the Preschool Studio will house 4 I pads, (a mini- I pad lab), we will focus on the technological activities that benefit young children the greatest, including those that are interactive and allow the child to develop their curiosity, problem-solving and independent thinking skills. The mini-I Pad Lab will be housed in the Preschool Studio, away from the classroom, since space in the classroom is utilized to encourage more movement (block area, art area, drama & housekeeping area, science area) as to encourage the children to associate the use of technology with that of gaining knowledge in a quiet space (similar to that of looking at a book in a library). The mini-I Pad lab will also be used as an initiative for children to have a special activity as well as a special place to go when earned through positive behavior. Therefore, technology will be used to enhance our curriculum and experiences for our preschool children. By providing the right kind of experience at the right time, we believe this attention to balance and timing are the keys to healthy development of young children. The Creative Learning Preschool is the foundation for Sunrise Academy and it is the mission of Creative Learning Preschool and our commitment to the children and families of our school to create exceptional conditions for learning that will enhance and facilitate exceptional opportunities in education.